The Year of the Pig has arrived! 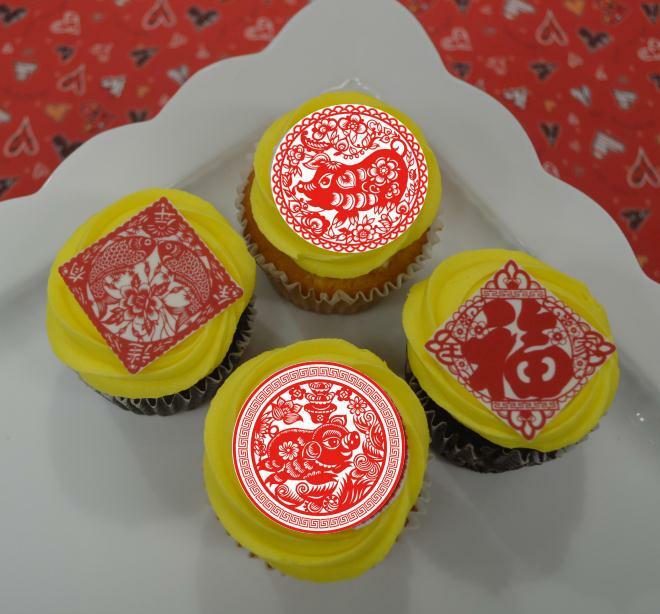 Two chocolate and two vanilla cupcakes festively decorated to celebrate the Year of the Pig. Available through Chinese New Year. Perfect for parties and great for gifting.